Hwy 101 mile marker 65aa. 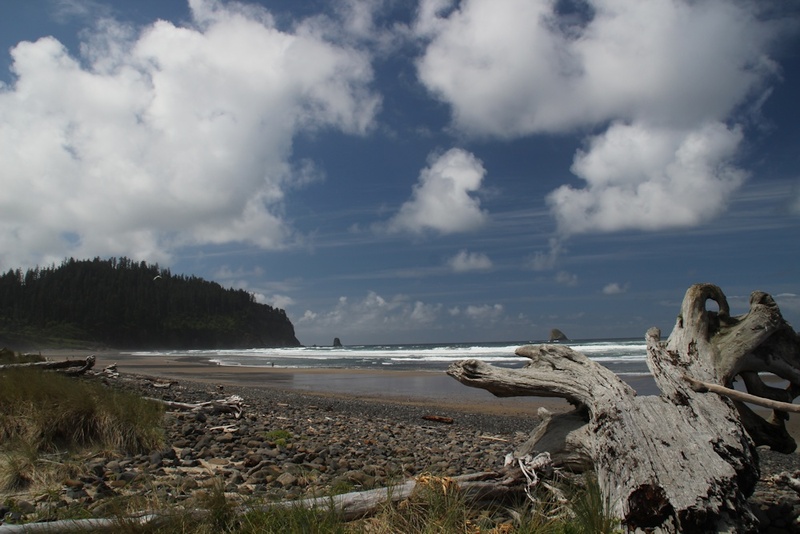 Cape Meares Beach is found on the "Three Capes Loop", to the West of Tillamook. 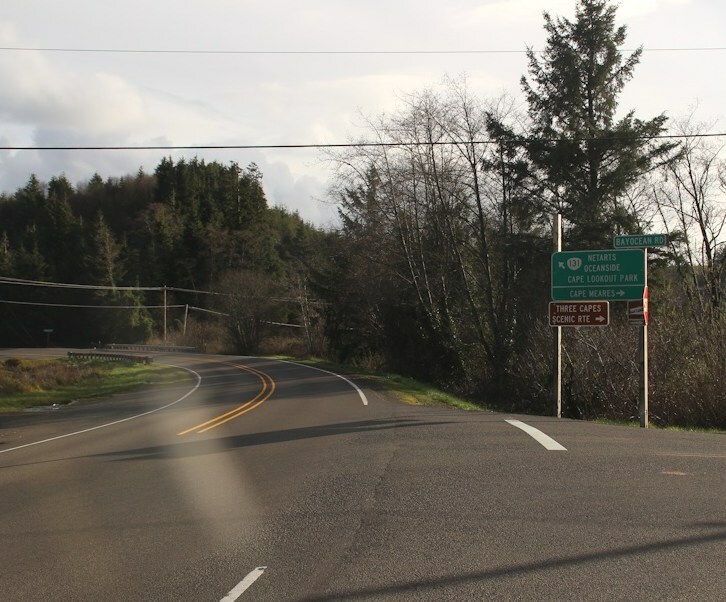 Start in Tillamook, taking hwy 131, which is marked as "Three Capes Loop". Turn right on Bayocean rd (See the sign below). 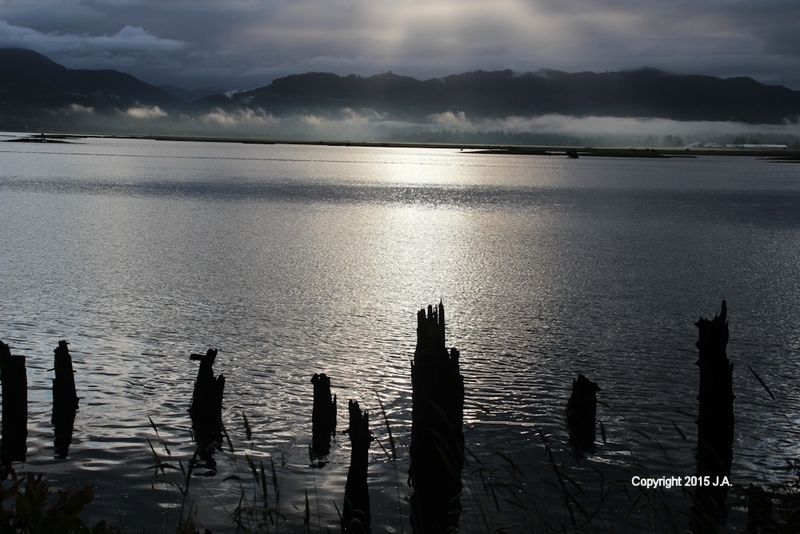 You will travel along Tillamook Bay, eventually reaching Cape Meares "Lake". After you pass Bayocean Spit road, continue straight on Bayocean rd, which becomes "Bayocean Rd W". This leads to the beach. Note: the small parking lot is located among some houses - holds about 8 cars. Oregon Parks link unavailable. No fee required, but limited parking. It's called "Three Capes Scenic Route" for a good reason! 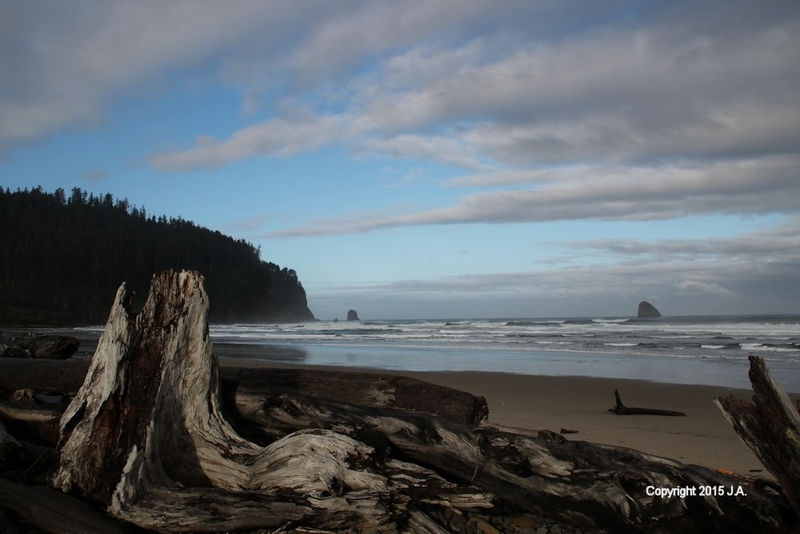 This route takes you along a narrow road with cliffs on one side and Tillamook Bay on the other. At low tide, large stretches of muddy bay floor are exposed. Here's a view looking south. A tall cliff juts out into the Pacific. A mile or two of sandy beach lies to the north. Here's another view to the south, later in the morning.